Y3K, the UK's leading manufacturer and distributor of CCTV systems, has appointed Marco Marzano as International Sales Director. Marzano's remit will be to achieve significant growth and market share gains for Y3K and its group subsidiaries, Xvision, IQCCTV and SmartWitness, within the EMEA region. The ICO is warning organisations to make sure that they have adequate measures in place to make sure personal information being accessed and used by home workers is being kept secure. The warning comes after Aberdeen City Council was served with a penalty of £100,000 after sensitive personal information relating to the care of vulnerable children was inadvertently posted online by one of their home workers. The information was freely available for a three-month period before a council employee spotted it and the information was taken down. 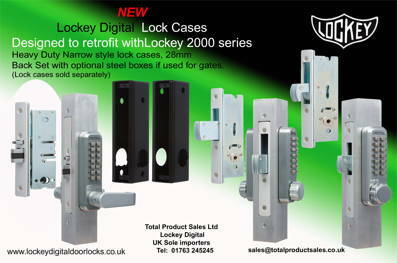 TradeLocks launched its new Mortice Lock Impressioning Kit, which enables locksmiths to make Mortice Lock keys on the go. This went down well with Locksmiths who were keen to get their orders in. Nigel Tolley made an appearance on the stand on the Saturday to help demo this new tool to visitors.